Employee wellness programs continue to move from being a nice perk to a must-have for companies looking to recruit the best talent. It is not a surprise that more companies are investing in wellness initiatives to encourage employees to stay healthy. In the constant battle with turnover and employee disengagement, employee health and loyalty are valuable resources. Luckily, this asset can be earned and improved through wellness initiatives. Employees who felt their employer-provided benefits positively affected their lives were 40% more likely to say they were loyal to their company. However, well-being is a broad subject including everything from physical fitness and financial wellness to mental health. How should employers navigate these options? Wellable compiled a list of fundamental and beneficial challenge ideas companies can run. Consider these challenges as a foundation that employers can build upon with fun themes that fit with an organization’s culture. Below are nine challenge ideas to get any organization started. Walking challenges are the most popular, straightforward, and well-known type of fitness challenge when it comes to encouraging physical activity. There's a reason why it is so popular and highly recommended: it works. Countless research has revealed the benefits of walking. People just don’t do enough of it. Walking challenges are a great first-step (no pun intended) to kick off a health and wellness program at any organization. 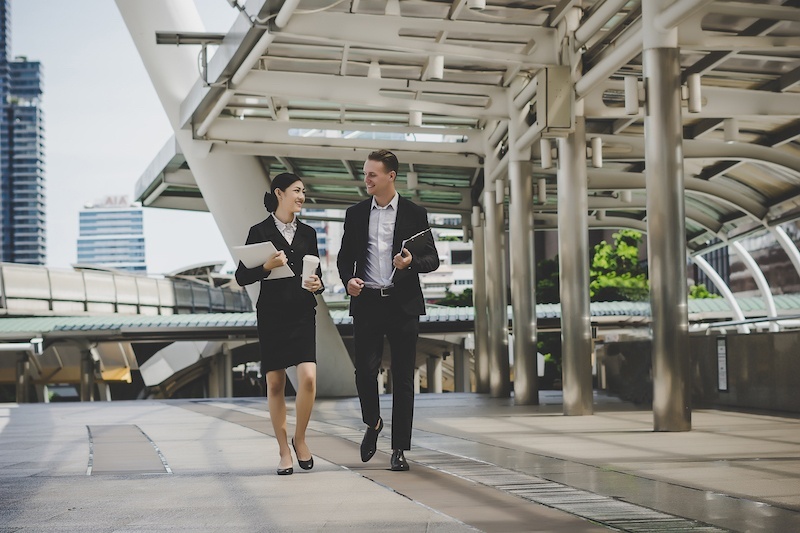 Instead of a pure step challenge, employees may be more inclined to engage with a walking challenge that has a destination. For instance, if an organization has multiple offices, run an “Office Hop” program. Challenge employees to walk the distance between different office locations to earn a price. Track participant movement and convert their steps or miles into something more conceivable. Maybe Sarah from HR walked five and a half miles today; that’s the height of Mount Everest! This method of acknowledging distance may seem like more of an accomplishment than numbers alone. Posting these feats on a company bulletin board is an excellent way to motivate participants. Downsides to a walking challenge are few and lie mainly on the means an employer chooses to track and incentivize participation. For example, it is tough to get strong engagement when employees are forced to track and enter steps manually. Many individuals won’t participate if they don't have a device that connects to the platform to automatically sync their steps. Choosing a platform that connects to a board range of technology. This way, employees can participate without resorting to manual entry. It removes many barriers to participation and engagement. Another major downside is that walking challenges can become dry over time. To resolve this, gamify the experience using various themes and fun graphics, such as "Climb the Mt. Everest" or "Swim Across The Hudson River!" 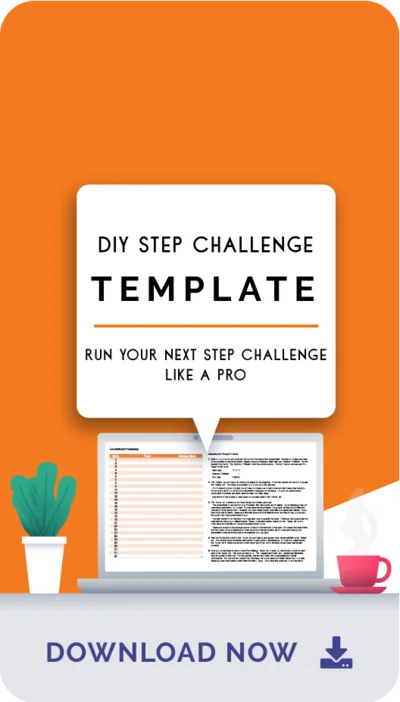 Check out and borrow some winning ideas from Wellable's sample challenge themes! 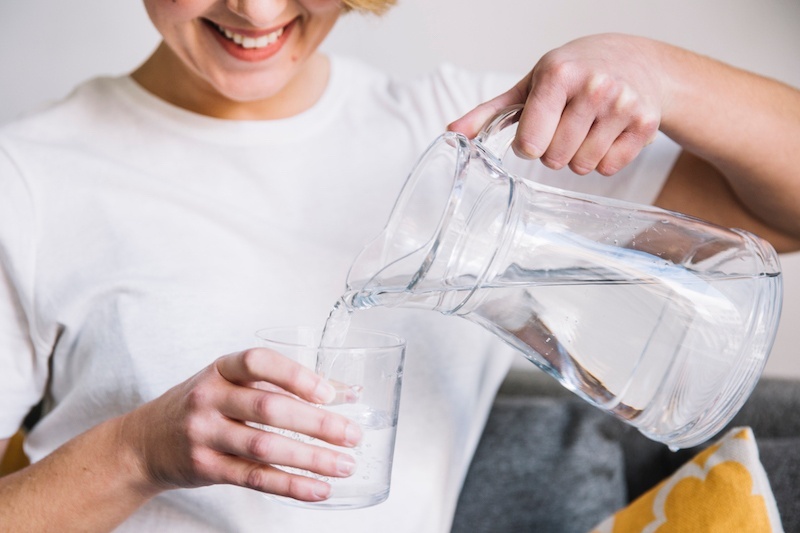 Healthy habits include drinking enough water throughout the day, taking the stairs, or getting appropriate amounts of sleep. Together, many small healthy habits like these make a big difference in individual health. Individually, these habits are not difficult to adopt. The challenge comes from doing them consistently over time and making them a natural part of an everyday routine. To avoid overwhelming participants, resist the urge to introduce too many new habits at once. Instead, slowly add and introduce new habits one-by-one. For example, the first week of the challenge might be dedicated to drinking more water. Once employees are used to this, start introducing something new, such as eating a handful of nuts every day. Remember that some habits are harder to build than others and might take participants longer to adopt. Habits such as "go for a 1-mile run every day" might take up to 30 days to become natural. While these health behaviors take longer to build, they also significantly contribute to long-term health. You just need to be patient and work with participants using a reasonable pace. To track daily habits, you could use a Google Sheet or designate accountability partners. If you have the budget, you can use a platform that lets you digitally track these activities every day. These platforms are more affordable than you think! Workplace wellness challenges for new hires are not necessarily a challenge theme. However, it is a very effective strategy in employee retention and therefore worth considering. New hire challenges help communicate to new employees that their health and wellness are important parts of the organization’s culture. This will hopefully increase engagement during their first few weeks with the company. Check out this post for specific ideas on new hire challenges. Even better, make it a team challenge to build a sense of camaraderie among new team members. Some of the challenges in the post are similar to the ones mentioned here. However, they are designed with the goal of integrating new hires into the company’s culture of health quickly and smoothly. Proper eating is an essential part of overall wellness. However, it is often the most difficult to address. 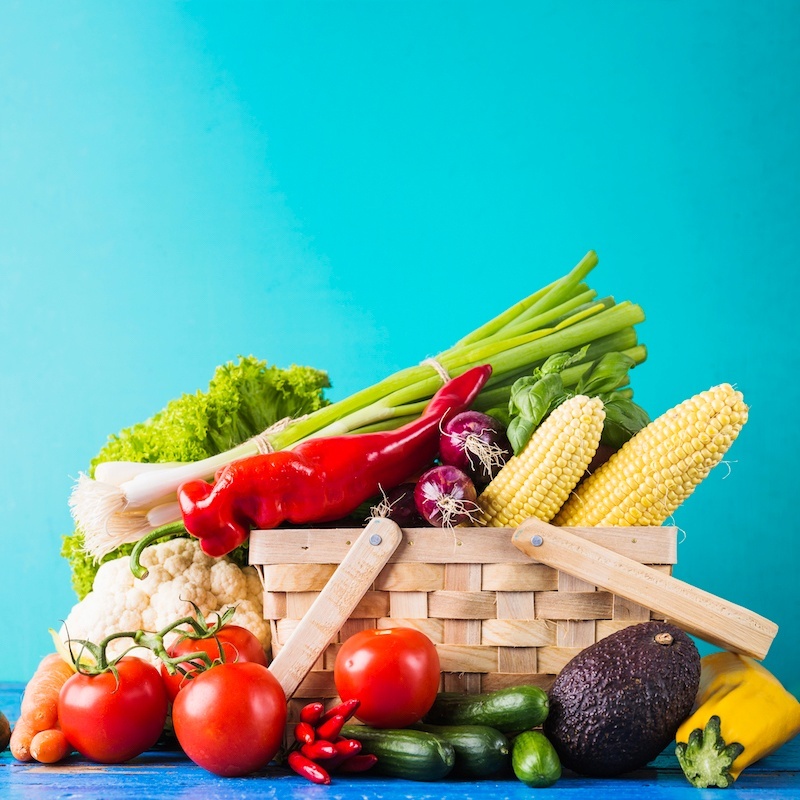 Many workplace wellness challenges, for this reason, miss out on the opportunity to help their employees develop healthy eating habits. A challenge around nutrition can be approached in many ways. For example, employers can organize catered healthy lunch groups with free meals and reward participation (who doesn't want free food!?). Employees can also be paired up with "accountability partners” that work to hold each other accountable. 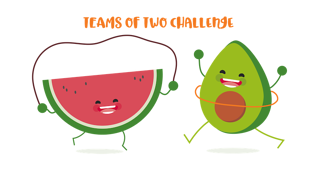 Partners encourage each other to choose healthier foods and participate in other health promotion activities. Alternatively, a nutritionist or health coach can be brought in to deliver a series of nutrition webinars/seminars. Employees can earn points for participating in educational events or talking to a nutritionist to improve their current eating habits. Similar to other challenges, there is a "tech angle" for employers who'd like to push digital wellness. Nutrition-tracking apps like MyFitnessPal can be helpful in this case. Employees can get rewarded for consistently tracking their nutritional intake through apps. Nutrition challenges should not be about punishing employees for eating certain foods. Similarly, it should not be a weight loss challenge. Instead, it should focus on encouraging consistent tracking of food intake. Wellable has reported extensively on the efficacy (or lack thereof) of Biggest Loser-type programs. They just don’t work. Employees should be guided to focus more on how nutrition can enable them to live better lives. Also, employers do not need to pour through everyone's nutrition log to make a difference. Many studies have shown that merely tracking food improves one's eating quality. There’s no need to associate negative emotions of food avoidance and being forced to lose weight with the challenge. In other words, just encouraging employees to write down what they eat will nudge them to reach for healthier foods on the shelf. Mental health has become an essential topic for employers in recent months. Employers should be hyper-aware of how their employees manage stress and burnout. Wellness services, such as meditation seminars, can be turned into wellness challenges by rewarding consistent participation. However, there are limitations to these in-person sessions. Not everyone in your organization has the flexibility to attend consistently. Additionally, seminars can become costly over time. Utilizing technology is an alternative to address this. Employees can use many apps, such as Headspace (paid) or Insight Timer (free) on their own time. Employees can report their usage of these apps for the challenge through surveys or Google Sheets. Rewards can be based either on duration (meditation minutes) or day streaks. Some wellness challenge platforms integrate with these meditation apps. Similar to the nutrition challenge above, users can get rewarded for the consistent use of these mental wellness apps! It should come as no surprise that employees struggle with financial well-being. Research shows that they may bring their struggles to work, affecting their productivity and health. Employers, as a result, are also negatively impacted by these financial worries. 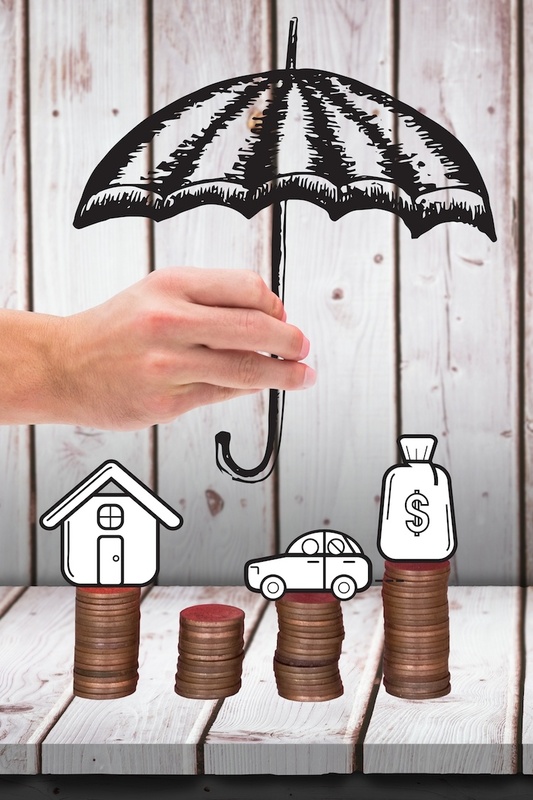 For this reason, financial well-being programs are rising in popularity. They appeal to a broad range of audiences. From college grads with student debt to older millennials with mortgages, most people can benefit from better financial wellness. However, it is hard to build the “challenge” component into financial wellness. Financial information is sensitive, and most people don’t want to share it with their colleagues. Therefore, the best means to incorporate financial wellness into a challenge is through education. Employers can hold webinars or provide employees with self-paced educational tools, and reward based on participation. For example, employees can earn points for attending a financial planning webinar or meeting with a company-sponsored financial adviser. Admittedly, it is not easy to build a challenge solely around financial wellness. This type of challenge will work better complementing a comprehensive employee wellness challenge or other kinds of challenges mentioned above. Often, employee wellness programs or challenges focus on improving personal or organizational health. While this goal is undoubtedly worth pursuing, paying attention to each individual’s impact on the environment is also essential and should not be overlooked. The simple goal of sustainability is to create and maintain an environment where humans and nature can exist in productive harmony. In an effort to support individual health and long-term ecological balance, sustainability challenges provide participants with an opportunity to focus on their personal well-being by engaging in activity as well as the well-being of the planet by learning how to easily incorporate sustainable practices into their everyday lives. The two overlap more than one would think, and in many cases (e.g., biking to work), the benefits even include other aspects of well-being, such as financial wellness from the money saved from engaging in the practice. As the description above suggests, a sustainability challenge should focus on personal health and environmental health. The personal health component can be addressed through a physical activity, nutrition, or other type of health-related challenge. On the other hand, the environmental health component can be delivered through education on and engagement in sustainable activities. For example, employees can earn points for learning about sustainability or working on the company’s garden/urban farm. 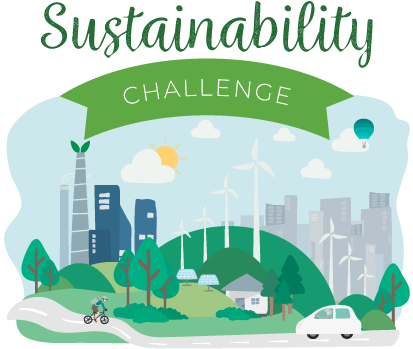 While unique from many of the other challenges introduced earlier, a sustainability challenge is equally important in that it provides an opportunity for an employer to demonstrate corporate values and culture to employees. As employees “get their hands dirty” in sustainability, they truly recognize the footprint they leave on the environment and acquire sustainable habits for life. A Harvard Business School study found that empowering employees to support causes of their choice is more satisfying than receiving a bonus. Charitable giving has been scientifically proven to make people feel good. Staying healthy while giving to others is a win-win! 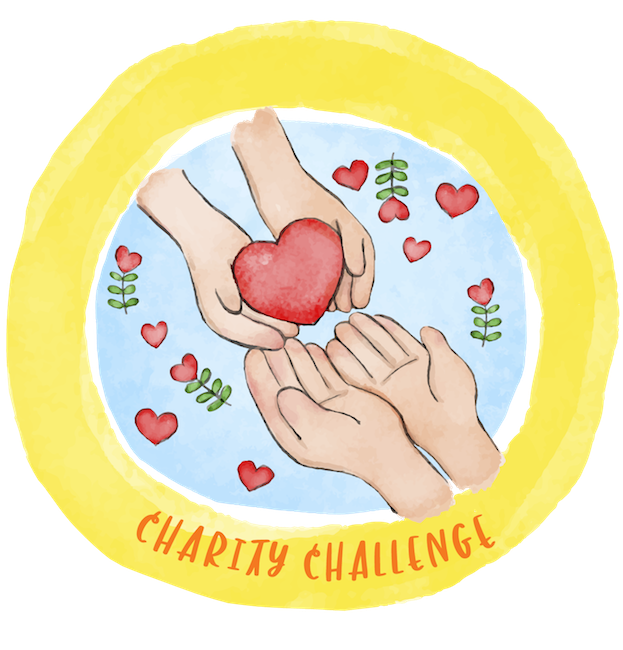 Charity challenges can be designed to promote any aspect of wellness, such as physical, mental, or financial, using charitable giving as rewards. For example, employees can work to earn points by participating in the challenge, and the points are then translated into dollar amounts that can they can donate to a charity of their choice. There are existing platforms that can make the administration process of contributing to multiple charities of employees’ choice easy. GlobalGiving, for example, is a gift card service that employees can use to fund more than 3,000 charities/projects across the world. Alternatively, organizations can choose one or more charities that align well with their visions and donate on behalf of the challenge winners. Many wellness programs focus on physical health by promoting fitness challenges, but neglect a critical component that fuels physical performance: sleep. Additionally, sleep plays a vital role in mental and emotional health, which makes it one of the most important wellness activities of one’s day. Unfortunately, when work and life responsibilities mount, sleep quantity and quality is usually the first to take a hit, as evidenced by one in three U.S. adults not getting enough sleep. This obstacle around sleep presents an opportunity for organizations to support their employees. Sleep challenges, as the name suggests, should focus on educating employees on the importance of a good night’s rest and ways to practice healthy sleep habits. The educational content can be delivered through webinars/seminars, videos, or articles, and the "challenge" piece can come from administering quizzes on the topic. These quizzes should act as a learning reinforcement rather than an evaluation tool; employees should be rewarded for participation – not based on their score. The end goal of the challenge should be ensuring that participants walk away with actionable items they can implement for better sleep, not feeling bad because they didn't do well on an assessment. Additionally, since various activities during the day heavily influence sleep quality (exercise, nutrition, stress, etc. ), sleep challenges can be multi-faceted and cover topics that are related to but also beyond just sleep. For example, a sleep challenge can include a physical activity, pre-bedtime meditation, and nutrition (eating foods that are conducive to good sleep). One word of caution here: even though it is tempting to add all the elements at once, it is better to introduce them one-by-one. Participants will retain the information better if they don't feel overwhelmed, or even worse, discouraged because they feel like they cannot follow all the recommendations. The ideal challenge(s) for each organization will vary based on their specific goals and objectives. No two cultures are the same, and every employee has unique personal goals. Don’t cover all these areas at once in a single challenge. Instead, break out the various topics by challenges. This will prevent employees from becoming overwhelmed. Many will start out with steps, as this is the easiest one for employees to join. Then, advance to the other areas as the population becomes more accustomed to wellness at work. Also, you’re not limited to just challenges. While competition can bring the best out of people, it can be discouraging to non-competitive employees. There are other workplace wellness ideas you can try! Just focus on creating a healthy work environment for everybody. You can do this by putting together a break room or a nap room with pillows, light blankets, and yoga mats. Offer informational content on health and wellness in the employee newsletter. Whatever you choose to do, focus on creating a culture of health. Only then will your initiatives create lasting impacts. Wellable builds programs that engage, entertain, and deliver results – all part of a broader strategy to improve employee experience.